I have bought an early edition of the Cornishman, and perusing it thoroughly over breakfast, discovered the gladsome news. I am excited – and honoured – therefore to be one of the first to know. The early bird catches the worm, you might say. Admittedly, the village of St Keverne is going to be quite a walk, and the gravel pit just to the south – and you will forgive me if I do not disclose the exact whereabouts - has not always been a happy spot. There was Mr James a little while ago – suffocated, they say, by the weight of gravel pouring down upon him, like some unearthly liquid of unspeakable density and weight. There is a dangerous overhang, and the parish council have taken it upon themselves to fence the site for safety, and levy a charge for removal of gravel in order, they say, to recover their costs. This is wrong. It is, surely, common land. The poor have cut turf there, time out of mind, before the modern demand for gravel was set in train by macadamising and so forth. And the ground is common ground, free to all. Heaven knows, there is little enough of that left in modern England. But progress is not to be decried in all its manifestations. The flowering of the 19th century has also brought us experts, and these experts have suggested – only suggested, mind – that down below the surface, sixty foot or more down, there could lie gold. 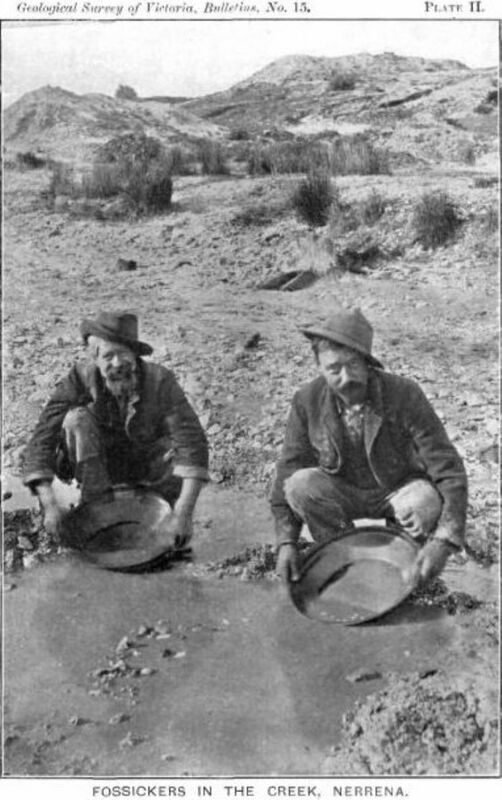 Mr Roskruge, who has been out in Australia for seven years, says that the deposits near St Keverne are identical - identical, mark – to those at Ballarat. There’s gold in Wales, as is well known, and there is gold at Gwennap. Tomorrow, it will be the turn of St Keverne. Even the newspaper has said that “there is reason to consider the theory… not an utterly improbable speculation”. I have my implements at the ready. I shall be leaving Penwith at first light, and through Helston before my absence is even noted. By the time you read this, I hope to be a man of wealth. The old gravel pit at the back of the farm complex is clearly visible on the modern OS map, should any readers wish to try their luck. But do ask permission of the landowner first.